I’ve been having so much fun playing with this Gluten Free/Dairy Free Muffin recipe! We’re on the home stretch of the Gluten Free Experiment we’ve been conducting at our house (more on that soon), but I guarantee you we’ll continue to make these muffins and all the fun variations I’m coming up with whether we’re gluten free or not. What a healthy little muffin (that just so happens to taste like cake). Coconut flour is high in fiber, high in protein, making it a wonderful addition to your diet. I find coconut flour at Tropical Traditions or Amazon. I’m so in love with this stuff that I might just write a post all about it someday soon. I don’t recommend substituting whole wheat flour in this recipe. Coconut flour and wheat flour are not created equal. If you want a Whole Wheat Banana Muffin recipe, check out this one! We love it! Mix all ingredients together, then pour batter into a well greased (or paper lined) muffin pan. Bake at 350 for 15-25 minutes. Makes 12 muffins. I have some coconut flour but haven’t taken the time to try it out. I will try your muffin recipe tomorrow. Looks great! Oooooo this sounds delicious! I have some leftover coconut that I was thinking about making into flour, and now I have a good reason to! I am a nutty person myself, but my husband and daughter could care less for them… Sometimes though, if I feel like it, I will make a few or an extra loaf of whatever I am making with nuts in it for me! Have you ever tried baking with almond flour? Gluten free and lots of protein! A bit on the expensive side, but versatile enough to use in savory recipes and sweets. I only thought of it because I’ve got a really good banana muffin recipe that uses almond flour that I got from a gluten-intolerant friend of mine. No, I’ve never tried but I’d love to. It sounds wonderful! Yes, but I’ve never done it before so I’m not sure how to do it! If you’re not crazy about all the eggs in gluten free cooking, one tablespoon of flax seed meal mixed with 3 tablespoons of water equals one egg. You can also use Egg Replacer that you can find in most health food stores. But I prefer the health benefits of flax seed. I can’t wait to try them! We are a “no nuts in our bake goods” kinda family. These look wonderful, I have to try them, especially if they taste like cake. I love nuts in my muffins, but one of my boys does not like notes, so I make some with and some without. Can you make these with just regular flour? we all love nuts but not in the choc chip cookies for one of us so a double batch it is. I’m not ready to shell out for “other” flours, we just don’t eat baked goods unless it is flour kind every once in a great while. will splurge one of these days because like you said they are so very healthy! I love nuts in baked goods. I’ve always liked crunchy with soft and warm with cold (think warm brownie with cold ice cream) and sweet with savory. I like to mix it up! I’ve never tried coconut flour–I’m intrigued. Ours is definitely a nutty family. We love walnuts and almonds here, although walnuts are my nut of choice for baking. In basic wheat breads that I bake, I almost always add sunflower seeds. I think I will make some of these. I’ll have to look for coconut flour. I love nuts in most baked goods, but my husband has diverticulosis so he can’t have nuts. It makes him sad because he loves them. So, I now divide banana bread and similar recipes in half and make half with and half without nuts. I eat low carb and would like to try this without the banana and honey… sort of like a coconut flour nut muffin with (pecans or walnuts). Any suggestions? I eat low carb (well, basically — I eat Primal) as well, so I just make my muffins with Stevia. They are delish and only about 8-10 net carbs per serving, depending on the size of your bananas!. I just made these and I think I must have done something wrong! They smell so yummy but turned out like wet sponges – maybe I needed more coconut flour (?) or maybe the 3 bananas I used was too many (?). The muffins didn’t rise at all, took way longer to bake, and were still soggyish (I know that is not a real word!). Any suggestions? I love the taste and would like to try it again! Aw, bummer. Yes, maybe a little more coconut flour, or yes, maybe just 2 bananas instead of 3. Hope they work better next time! Mine were a bit like that, too. Next time I will try 2 bananas & possibly reduce an egg. Mine are like soggy wet muffins too…my first attempt at coconut flour and disappointed. Mine didn’t turn out either – still wet after 20 minutes in the oven. I used three bananna’s and 3/4 cup coconut flour. Also – should the coconut oil have been melted? My batter had chunks of it in it. I added some mini-chocolate chips but I don’t think they made a difference. I’m so sad that 6 eggs have been wasted!! I’m sorry you had trouble with this recipe. I’ve now edited the instructions to include that yes, the coconut oil works better if melted. And I changed the cook time on the instructions because while for some ovens, 17 minutes is long enough, some take as long as 25 minutes. Sounds like yours maybe needed a longer baking time. Sorry I wasn’t specific enough in my instructions! I was also wondering if your farm fresh eggs are smaller than the regular large eggs that I had from the grocery store. Maybe that is why they were still soggy after baking for 20 minutes. My muffins are a little more soggy than I anticipated as well. But I’m pretty sure it is because I used our own eggs which are HUGE! Next time, I’ll use 1-2 eggs less and slightly more cocunut flour! But the taste is incredible and I love the fact that I can use our own eggs and our own honey for this recipe! Thanks for sharing! I think you should be able to substitute any kind of sweetener – mayple syrup, brown sugar, sucanat – I’ve not tried it though so I’m not sure if it will be a one-to-one substitution. If you sub brown sugar or sucanat, you may want to use a little less coconut flour. We are a learning to love nuts kinda family. I have never liked nuts much until I started chopping them pretty finely in my pampered chef food chopper (any like chopper would work). At first, I liked the nutty flavor and the health benefits but was not a big fan of a huge chunk of nut in my food. Now we all enjoy our baked goods with a lot of nuts and are less particular about them being small. It has taken us about two years to go from pecan dust to lots of all kinds of nuts. It has opened up a whole new world of flavors and textures. Admittedly, I love that we are all less “picky” in general. This sounds so yummy! I would love to read about your gluten free/dairy free experiment. Please don’t wait too long. Can you utilize any other oil instead of coconut oil? I don’t have any coconut oil but truely missing to eat real food I need all GF recipes. I haven’t found anything close to real or as I recall. Just learning how to use Coconut flour.. Realizing can’t use the same amount as for all purpose flour. Thank you for your time. You can use butter instead and it will turn out great! I made these muffins and added a bit of my own twist. I added some grated lemon and ginger to the muffin mix. I topped each with shredded coconut before popping them in the oven. Thanks for the coconut flour inspiration! It always amazes me how far just a little bit of the flour goes! Happy baking! Yum, I’m going to make these today, thanks for the recipes!!! I made these for breakfast tomorrow. They look and smell so good. Just wondering, when you make muffins a day ahead, how do you store them? I feel like I go through so many Ziplock bags, but I just don’t have time to make a fresh breakfast in the morning. Do you store them in the fridge or on the counter, and what do you put them in? Thanks. Laura stores hers in the fridge in a ziplock bag that she reuses over and over. I’ve been reading your site for a while and love it, but this will be the first recipe I try. I’ll let you know how they turn out! The muffins turned out great! Thanks for the recipe! I have coconut flour, but have not made anything with it. I have all this stuff, so I will make this! If you don’t like nuts…try chocolate chips! 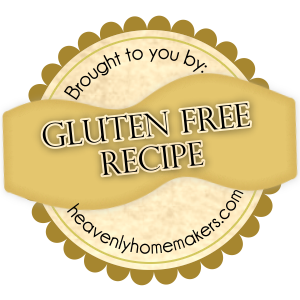 I used Enjoy Life gluten-free chips and they were awesome! Who doesn’t love a banana chocolate chip muffin? Especially when they are healthy! Yay! I like nuts in my muffins BUT the heat damages their fragile oils so I started just adding chopped nuts to cream cheese frosting and frost my muffins. Or even stir into butter. Can I use butter or veg oil instead of the coconut oil? I don’t have any of that on hand. I avoid using vegetable oil, so I’d say use real butter and these will be great! After reading through a few recipes, and looking at all the “bad” comments on this recipe, I decided to go with my gut feel and tried it this morning. I used 5 small eggs (fresh from our chickens ), 1 Tbs flax meal mixed with 3 Tbs water , 1/2 cup of dark 72 % chocolate chips, 1 tsp vanilla essence, 1 tsp cinnamon powder and used melted butter instead of coconut oil. Baked them for 30 mins. WELL !!! They are the absolutely best muffins I have ever had. I was worried they would taste too eggy. They don’t ! They are really really good and I thank you for posting this recipe. Can’t wait for my kids to try them this morning. We love these! Since I use home-grown eggs, they tend to be MUCH larger – so I only use 5 for this recipe….with 3 bananas. Turns out great every time! :-) Thanks Laura! VERY good recipe! I used 4 Jumbo eggs and 1 small egg so 5 total and 4 small bananas. Only other tweaking I did was to add 1/2 tsp vanilla. I have baked with coconut flour for a while now but this is one of the best recipes I have tried. Thanks! I made these for my 12 month old and 3 year old. I left out the honey since babies shouldn’t have honey. It was sweet enough with the banana! My three year old willingly ate them and said they were really good! My 12 month old ate half of one and had a huge smile on her face and was so happy. She kept saying, “Mmmm Mmmm Mmm!” I thought they were really good too! Thank you for working out this recipe and then sharing it. I am going to make it immediately – those bananas I bought are very very ripe. My muffins didn’t turn out. I baked them 25 minutes and they look like odd-shaped lumps. They aren’t cake-like either and don’t taste very good. Not sure what went wrong. I followed the recipe EXACTLY with no additions or substitutions. Back to the drawing board…. The good news is I found this recipe. The bad news is I found this recipe!! ;) These are delicious. Mixed in the blender as suggested and that worked great. I used three ripe bananas and added 1tsp of vanilla. FANTASTIC! These turned out nicely, and have a nice subtle sweetness. I like the moistness and always enjoy the texture of things made with coconut flour. I filled my muffin tins about half full, and not knowing how high they’d rise, I still had batter left, so ended up w/ 16 muffins that rose to the top of the tins. Perfect size for my small kids! I used only 2 large bananas. Great recipe. Does anybody know if blueberries folded into this recipe works? I love love this recipe. I just bake them too. I add 1/2 cup TVP ( Textured Vegetable Protein) . It come out wonderful. Thank you so much. I would love to send you the picture my muffins. Just made your banana muffins and I was worried because the batter looked to loose. I mixed the batter on medium high speed for just two minutes and then added a cup of chopped walnuts. The batter was thicker and they came out beautiful!! Thank you for this recipe!! Love it! What happens if you don’t melt oil? Definitely will be trying these. Do you think baking in a loaf pan would work? I’ll just watch and adjust time as necessary. I’ve never made these in a loaf pan, but I think it’s worth a try! Could you substitute pumpkin for the banana and get a different flavor? If so, do you have a recommendation for how much pumpkin to use? I just tried a different pumpkin muffin recipe with coconut flour and there just was not enough pumpkin flavor. Thanks I may try it! thank you for this recipe….wondering if you have a scone recipe using coconut flour? It is hard to pinpoint what went wrong. The only thing I can think of is that your oven may just be different from Laura’s. Maybe they were in too long? I have lived in 3 different homes with 4 different ovens and I have had to adjust baking and cooking time for each one. Otherwise, I am not sure. I hope they turn out for you next time! can some of the eggs be substituted?? I don’t have experience with this, but if you know of a good egg substitute, you could sure try! Yes. I use 4 eggs, sometimes even 3. For the other eggs, I add 1 tbs of ground flaxseed to 3 Tbs warm water and whisk well. This is for 1 egg substitute. Then add the eggs and whisk further. Comes out great and not tasting eggy. Do you know how many carbs is in this? I tried the coconut flour brownies earlier this week and had high hopes for these muffins. But not so great. They kind of fell apart and were pretty strong on the butter flavor even thoughI used 2 large bananas. I maybe unfairly comparing them to wheat flour muffins though. I’ve been trying out the coconut flour recipes to make a treat for someone in my community. She might think they’re great! I have some Chia Seeds and on the pkg. it says you can use them in place of an egg ……have you tried this ? Also says you can use in things you cook to thicken it also……just wonder if you or anyone has heard of this ? Was excited to try these, but unfortunately they did not turn out well at all :( I followed the recipe exactly and they were like eggy soggy sponges, not sure what went wrong, going to have to try again! I don’t know if this has been asked before, but do these freeze well? Either before baking or after? Thanks! I’m nut lover. 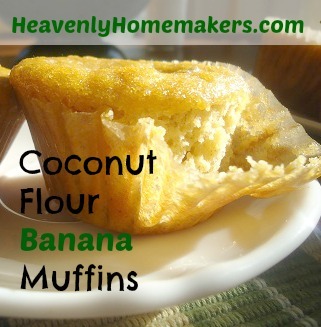 Coconut flour banana muffins is a great dessert and addition to tea in morning. Thanks for sharing your recipe, Laura!